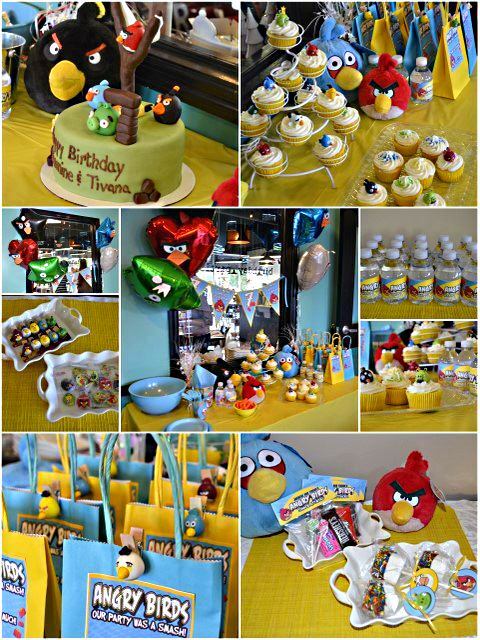 Angry Birds has really grown in popularity among all ages and would be a fun theme for a party. 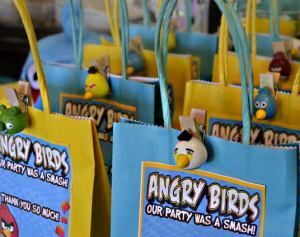 My girls decided they wanted an Angry Birds theme so we did a lot of searching for some fun and cute ideas! 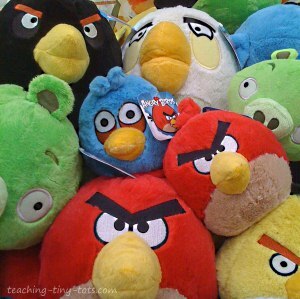 One of your easiest places to find Angry Birds products is Amazon. For invitations and candy wrappers you can find them on eBay and etsy. Color scheme Red, Blue, Green or Yellow like the birds. Red, Blue, Green or Yellow Party hats. Red, Blue, Green or Yellow colored streamers. You can find personalized options for invitations on Etsy or eBay. 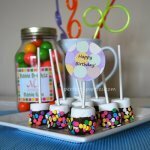 We found a seller on Etsy who customizes a party pack which includes invitations, cupcake toppers, water bottle labels, banners, and snack labels. We were able to select colors as well to match the theme of our party. Some will sell you a set as is and you customize. 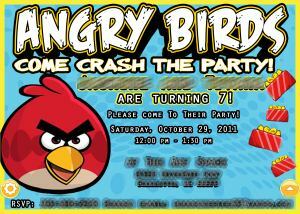 Print invitations and labels with quality name brand ink and glossy photo paper for best results. We found plush animals to decorate the party tables. 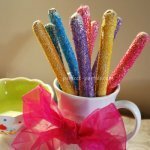 These were also gifts for the girls and they came up with the idea of giving them as "Thank You gifts" for people helping us with the party. 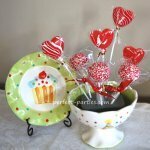 Sending one home with each child also makes a great party favor if you don't want to make Goody Bags. 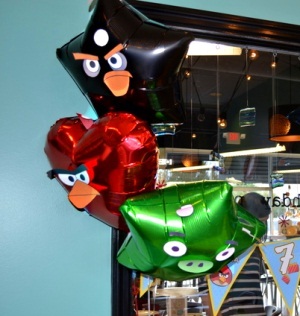 Buy solid color balloons and then download the pdf here for the face templates: Angry Birds Balloon Templates from the Party Blog. All you need are balloons, scissors, and tape. NOTE: If you plan to tape, hang or attach the balloons to a wall or window, you can use the small helium filled balloons. We found that after taping the pieces on the balloon, it was too heavy and did not float unassisted. We also found that if you tried to move or adjust the piece you taped on, there was a good chance the balloon would pop. We recommend you decorate the balloons right before the event as a precaution and have a few extra. If you want a group of floating balloon as in our photo, use large mylar balloons. We used small paper bags and printed out a Thank you card from our etsy pack and glued it on each bag. We found Angry Bird Clips, buttons and stickers on eBay. Many party favors are from China. They can take 3-4 weeks to come so order early!